West Midlands Trains' livery. Photo: Abellio. After 10 years of running the West Midlands franchise, London Midland will step aside on December 9. Its successor is West Midlands Trains, led by Abellio, which already operates the ScotRail franchise as well as the MerseyRail and East Anglia franchises as part of joint ventures. However, it wasn’t the story of the Dutch company’s success that stole the headlines when the West Midlands franchise was awarded in August, but its minority partners. 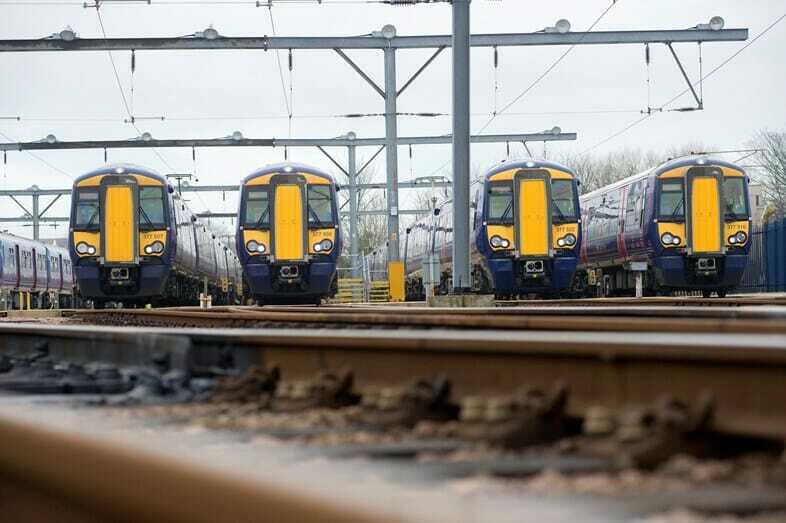 Those were two newcomers to the rail franchising scene in the UK, two of the first Japanese rail firms in the UK, and two firms who are undertaking huge changes to grow their respective businesses. Mitsui & Co and the East Japan Railway Company (JR East) have different backgrounds but both hope to carve out a reputation helping to operate one of the busiest railways in the world. So who are Mitsui and JR East? Conglomerate Mitsui is one of the world’s biggest companies. On Forbes’ Global 2000, a ranking of the world’s biggest public companies, Mitsui comes in at 545th with 48,000 employees and revenue of almost $40 billion. From energy, metals, chemicals, machinery and infrastructure, to lifestyle, information, finance and logistics, Mitsui has a strong grounding in a number of industries. In the rail sector there is a Mitsui rolling stock leasing company and a Mitsui & Co Plant Company, which supplies track maintenance machines and also provides and installs trackside systems. Mitsui also runs passenger rail services in Brazil. Significantly, the group hadn’t been a passenger operator in the UK until March this year when it bought a 40 per cent stake in Abellio’s train operating company (TOC) Greater Anglia, becoming the first Japanese company to run a UK rail franchise in the process. Speaking to Global Rail News, Mitsui said that it was strengthening its position in the passenger transport industry because opportunities are increasing to improve the efficiency of systems in “advanced countries” and for new infrastructure in emerging countries. A spokesperson added that passenger rail is also the “starting point for linking its other business initiatives”, referring to commerce, real estate and other forms of mobility. Ultimately, Mitsui wants to expand its rail business in the UK and in other countries. 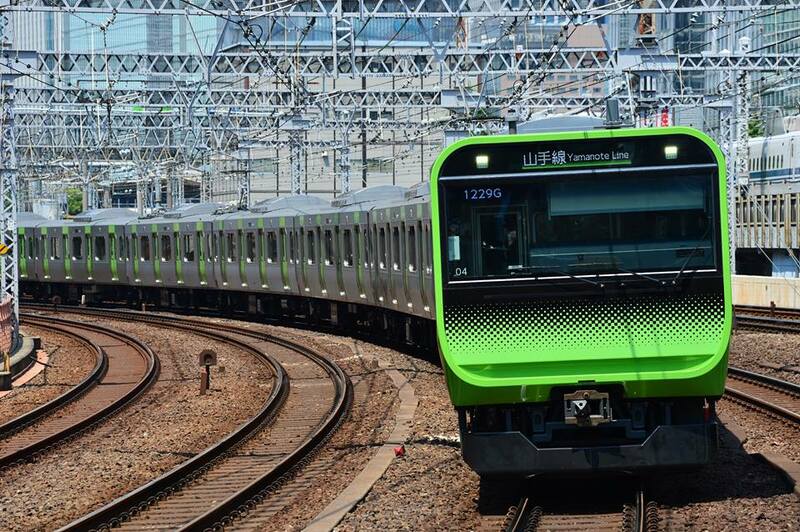 As a transport-focused business, JR East’s story is a different one. It had never secured a contract to operate passenger services anywhere in the world outside of Japan before succeeding with its partners on the West Midlands franchise bid. JR East was established in 1987 when Japanese National Railways was divided as part of a package of railway reforms. It runs a 7,500km railway network including urban, suburban and high-speed operations for 17 million passengers each day. It also has non‐transport commercial activities, which account for more than 30 per cent of its total revenue. Since 2011, it has had to overcome a myriad of problems stemming from the Great East Japan Earthquake. The most powerful earthquake recorded in Japan caused the deaths of thousands and forced the closure of railway lines due to heavy damage. In Thailand, JR East has supplied rolling stock, in India it has provided technical support for high-speed rail and, in Britain, JR East’s roots can be traced back to 2014 when it opened a London office to help realise its ambitions. The openness of the British market attracted JR East, according to a spokesperson, despite its complexity, and the West Midlands franchise is a starting point for its growth abroad. 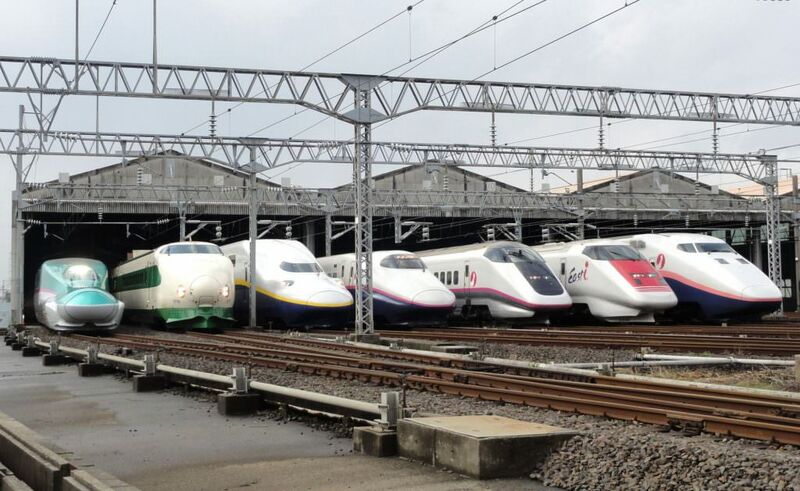 An historic lineup of JR East Shinkansen trains from the E1 to E5 Series. Credit: Rsa. How will the two companies benefit Britain? Concerns are sometimes raised that Britain’s railways are being creamed for profit by foreign operators, but the case of Mitsui and JR East is a good example of how Britain can benefit from overseas operators. Japanese railways are among the most punctual in the world and, through sharing best practice, British TOCs could learn a great deal. JR East said that it has a long history of reliable, safe and punctual service and that it will harness this expertise in the management of the West Midlands franchise. And it is not just best practice on the traditional railway. Japan famously launched the first ever high-speed rail service, the Shinkansen, which continues to lead the world with its bullet train technology. At a Greater Anglia press event earlier this year, franchise director Mike Kean said that Britain has a lot to learn from Japanese railways. Since Mitsui came on board, he said that one of the biggest changes to the business has been its ability to access Japanese companies. Mike added: “We have had quite a few presentations now from Japanese companies that are looking to grow into the UK, and Mitsui is a really good facilitator of that. Abellio, JR East and Mitsui have also be shortlisted to run the South Eastern franchise. Photo: Southeastern. Rather than being viewed as money-grabbing exercises, the entrance of two new companies into UK rail franchising could be viewed as opportunities to learn, change and improve. At Railtex earlier this year, Hitachi – another Japanese company – spoke about its plans to build a great legacy in the UK and, alongside Mitsui and JR East, it could well be a much larger Japanese legacy. But, in the meanwhile, the final preparations will be underway as Britain prepares to launch a new train operating company and for the debut of two successful Japanese railway companies. With the trio shortlisted to run the South Eastern rail franchise, and their rail franchising pre-qualification questionnaire (PQQ) passports running until 2020, this could be the start of a new relationship with Japanese railways – and that could be no bad thing. The Bombardier Aventra units that the new franchise have ordered could be classified as Class 38x or Class 39x. Or classified in Class 70x or Class 71x. And the CAF Civity could be classified as Class 18x or Class 19x. I personally think that the Bombardier Aventra EMU’s that WM Trains that are ordering for London Northwestern Railway and West Midlands Railway routes could be numbered as Class 381, Class 382, Class 383, Class 384, Class 386, Class 388 or Class 389. Or Class 391, Class 392, Class 393, Class 394, Class 396 or Class 398. Or Class 702, Class 703, Class 705, Class 706, Class 708, Class 709. Or Class 711, Class 712, Class 713, Class 714, Class 715, Class 716, Class 718 or Class 719. And the CAF Civity DMU’s for West Midlands Railway could be numbered as Class 181, Class 182, Class 183, Class 184, Class 186, Class 187, Class 188 or Class 189. Or Class 190, Class 191, Class 192, Class 193, Class 194, Class 196, Class 197, Class 198 or Class 199. We should know by the end of this year or early next year. I could be wrong. 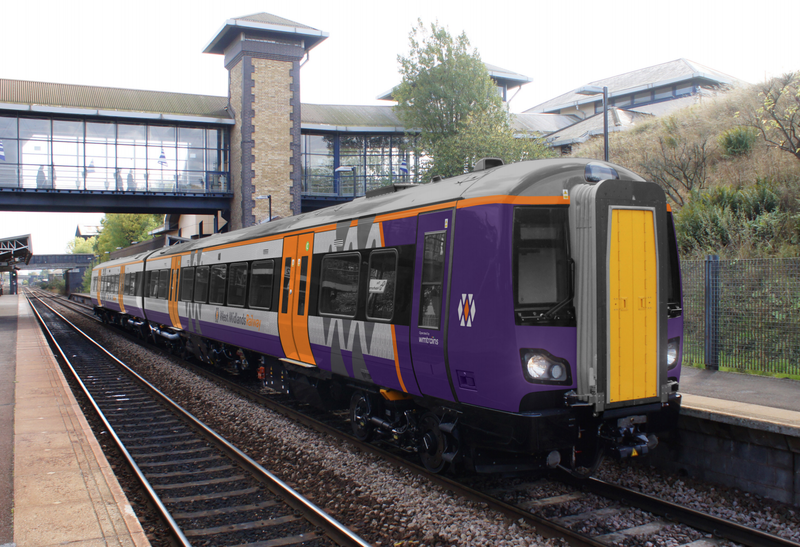 And the CAF Civity DMU’s for West Midlands Railway could be numbered as Class 181, Class 182, Class 183, Class 184, Class 186, Class 187, Clas 188 or Class 189. Or Class 190, Class 191, Class 192, Class 193, Class 194, Class 196, Class 197, Class 198 or Class 199. They could be any one of those options, wahey! Really fascinating stuff, Andrew. Next thing they’ll be used on the Marks Tey – Sudbury line. This would never be countenanced in Japan. A foreign railway company operating trains or a Japanese company ordering rolling stock from an overseas supplier. Just like the motor industry, shipping, electronics, steel etc. the Japanese operate in a closed market at home yet expand and wipe out the competition around the world.